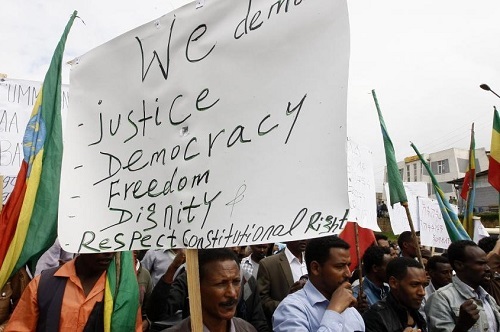 Following the bold measure the reformed government took to widen the political terrain, political parties that were tacitly emasculated here as well as those coerced to seek asylum abroad have come aboard the political bandwagon of change that characterizes today’s Ethiopia. Journalists that were detained for political reasons are set free to exercise freedom of expression in full cognizance of their responsibilities. No doubt, this turn for the better waters the budding democracy. The turn also makes the parties vibrant by slamming doors on solely lampooning the government dragging into the light its shortfalls. Without chalking out policies of peace and development, which could wind their way into the hearts of voters, belittling the government they could no longer build their image. Accustomed to a 100 meters race, restricting themselves to narrow confines, they could run out of oxygen when facing the marathon of national election projected to be free, fair and red hot. Especially those on the horns of a dilemma—picking arms or picking the mic— must learn fast to come up with policy options that could buy credence. All the more so, as the much-awaited national election is drawing nigh. As has never been witnessed anywhere in the world, agitating trigger-happy youths, some parties are using universities as boxing rings. Instead of brain storming or clashing ideas to come up with resultant ideas, universities are now seen clashing stones to ignite fire as if they belonged to the stone age. Demonstrating their level of maturity, university students must distance themselves from heinous political parties that conspire to make them trojan horses. If they continue to make themselves dupes, such students will have only themselves to blame. Simply aiming at expanding their fan base some media outlets show propensity to be sensational. Fanning flames they are seen trying to fish in troubled water. This is an act divorced from the ethics of journalism— honesty to the truth and the audience. They have to mend their wrong turns. To get back on track they need support. On the other end of the scale, journalists in the government media, avoiding clash-provoking works, must learn to prod the government whenever it goes astray. In so doing, they will bolster the effort mounted to create a better Ethiopia. To give the economic sector a kiss of life, there is a call for rendering support to the private sector and privatizing some government owned enterprises, neither profitable nor efficient to the required level. There is a call for harnessing the country’s water wealth including ground water to bump up agricultural yields via irrigation. This helps back up the effort towards food self-sufficiency. It also helps to curtail the outflow of hard currency outlaid for the importation of food items like wheat. In general there is a call for conducting economic reform. To get the economy back on its feet the reformed government has done work towards the extension of loan payment periods and augmenting the hard currency reserve. It has also put new projects on the back burner by way of a stalemate. There are some detractors that try to reverse the reform though the government is handling things with a sober mind. But this does not mean if pushed to the extreme it will not take punitive measures. It must be known that the government by no means compromises the country’s sovereignty. Hiding those who are wanted by law after committing a crime is punishable by law. The rule of law has to reign supreme to ensure peace, democracy and development. It was in the aforementioned way Dr. Abiy Ahmed, famed the world over for his deep thinking, addressed questions raised by parliamentarians this week. All must contribute their due share to effecting change. The recent move by Addis city government to take street children under protective wings is laudable. Also adopting orphaned children must be made a point as demonstrated by the first lady and the premier. 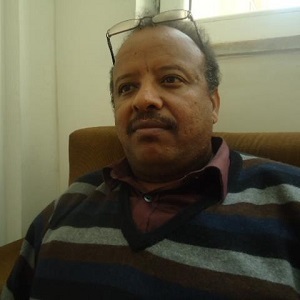 A published poet, novelist, editor, translator of masterpieces, literary critic, playwright and journalist from Ethiopia. M.A holder in literature, Addis Ababa University. Looking for a traditional publisher of a collection of poems. My novel: ‘Hope from the debris of hopelessness’.